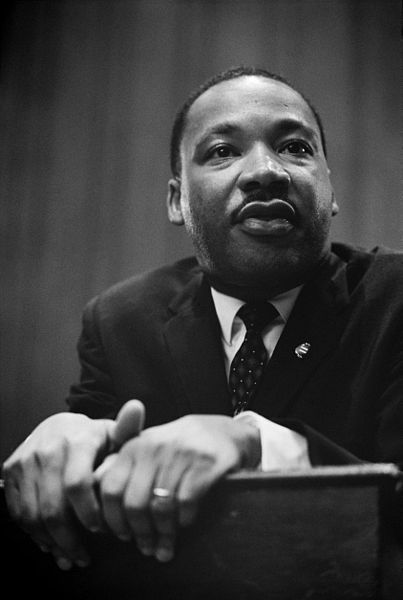 “I have the audacity to believe that people everywhere can have three meals a day for their bodies, education and culture for their minds, and dignity, equality and freedom for their spirits.” — Martin Luther King, Jr.
King was nothing if not audacious — in what he dreamt, in how he lived. He was moved by the space where Gandhi sat, now cordoned off from the public. King wanted to go and sit in the room, among Gandhi’s remaining objects. The Museum’s curator was hesitant, but could not refuse a State guest. King meditated on the floor, where Gandhi once did. Hours went by. The curator asked King’s companions when they planned to leave, since he had to close the Bhavan. King asked if he could stay the night, by himself, and sleep where Gandhi had slept. The curator, once more, had to allow his guest this privilege. King did so, to the discomfort of his friends. King’s audacious request took his experience to a different level — just like the rest of his life of audacity. Rosa Parks didn’t have tired feet; she had audacity. So did Benjamin Franklin, Nelson Mandela, Gloria Steinem, Margaret Mead, and pretty much anyone who’s ever made a difference, big or small, in this world. Photo: Marion S. Trikosko, Creative Commons.